Welcome to Day #10 of Cookies with Chocolate Theme Week, and Day #1 of Chocolate and Coconut Theme Week. 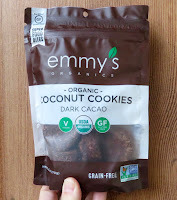 If you love coconut and are staying away from grains, these Dark Cacao flavored Organic Coconut Cookies from Emmy's Organics, Inc.* (Ithaca, NY) may be for you. 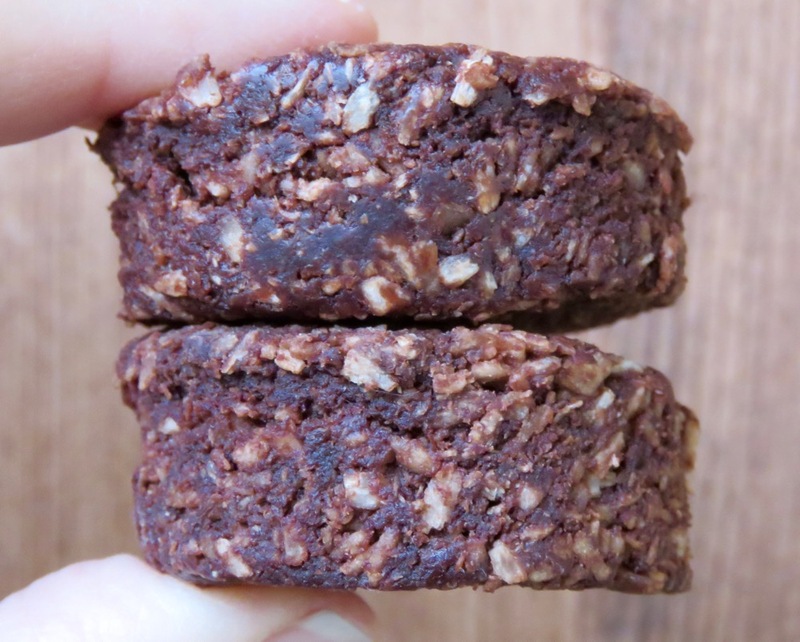 These vegan, organic, gluten and grain-free, puck-shaped cookies had a slightly fibrous chew from the shredded coconut base that was lightly sweetened with agave syrup and suffused with cocoa flavor (organic cocoa powder). 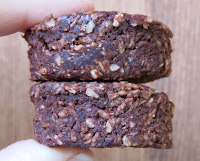 The compressed cookies also contained almond flour and organic coconut oil. *Emmy's Organics is a Certified B Corp.